The ruins of Aros Castle stand about 1¼ miles north of Salen on a low headland at the mouth of the Aros River overlooking the Sound of Mull. 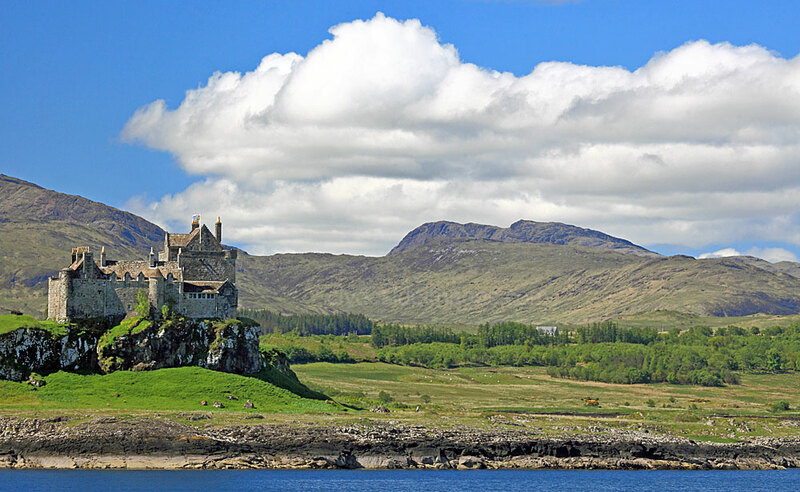 Like Duart Castle further south, it was built in the 13th century as one of a series of fortresses intended to control this relatively sheltered and strategically important sea channel. Nowadays, not much remains of the castle complex which, in addition to the keep, was thought to have been surrounded by a curtain wall containing other small buildings. A deep ditch cut into the rock would have defended the landward approach and would originally have been spanned by a drawbridge. Exploration of the ruins requires care due to potentially unstable stonework and sheer drops on the seaward sides, some being partially concealed by vegetation. 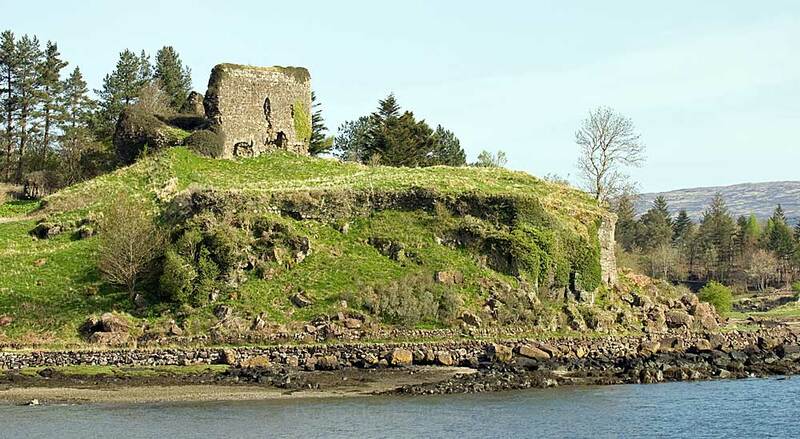 Aros Castle was originally built by the MacDougalls, but it passed to the MacDonalds in the 1300s. During the 1400s, it was used as an occasional base by the Lords of the Isles, at which time it was known as Dounarwyse Castle. After the suppression of the Lords of the Isles by James IV in 1493, the stronghold passed to the Macleans of Duart. When they in turn fell out of favour in the 1600s Aros became a Campbell possession before gradually falling into disuse. To reach the ruins, take the minor road east, off the A848, just north of its junction at Aros Bridge with the minor road that heads directly north to Dervaig. Signs indicate where parking is possible without obstructing others, and from here you walk the remaining couple of hundred yards to the castle. In autumn and winter the estuary which the castle overlooks often holds Goldeneye, Eider, Teal, Wigeon, Goosander and is an important fuelling station for migrating waders such as Dunlin, Greenshank, Redshank, and Whimbrel. Otters also tend to favour this location too. 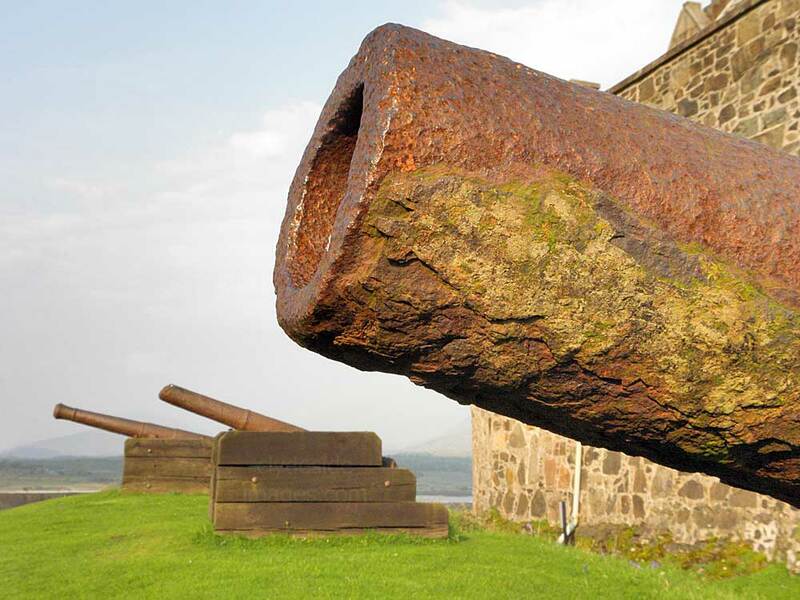 ​Duart Castle, a McLean stronghold, has an interesting and at times violent history. It was in use until 1751 after which it lay abandoned until 1910 when it was purchased by Sir Fitzroy McLean, the 26th Clan Chief, who began the long process of restoration. 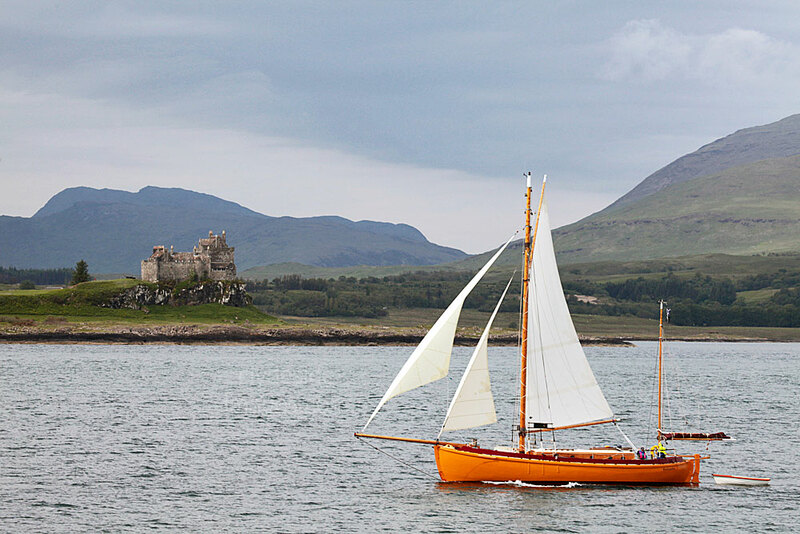 The castle is now open to the public although the best view of it is undoubtedly from the sea. 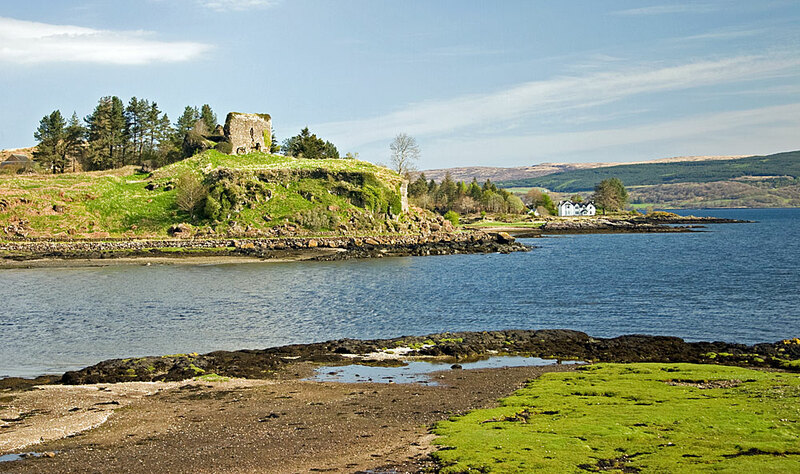 ​Strategically positioned, this stark stronghold guards the intersection where the Sound of Mull, Loch Linnhe and the Firth of Lorne meet and was just one link in a chain of castles on this section of Scotland`s West Coast. 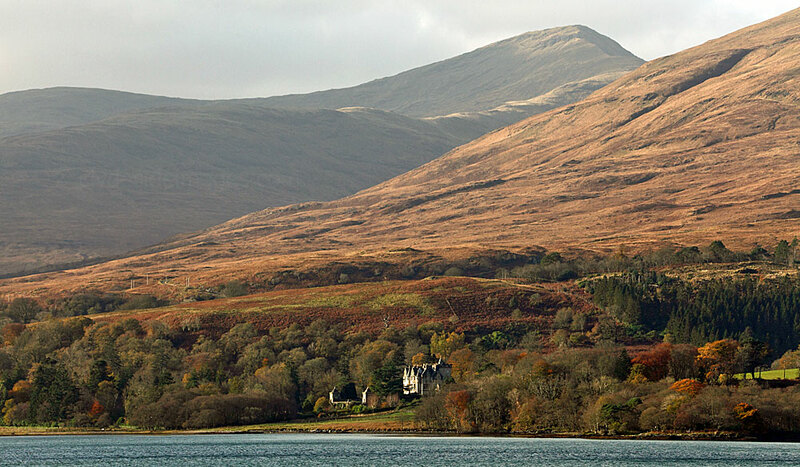 Others include Dunstaffnage, Dunollie, Aros, Ardtornish, and Mingary. Duart Castle dates from the 13th century when a thick rectangular curtain wall enclosed a courtyard on the rocky outcrop. In 1350 Lachlan Lubanach, the 5th Chief, married Mary MacDonald, the daughter of the Lord of the Isles, and she was given Duart as her dowry. Lachlan Lubanach built the keep (tower house) on the outside of the original curtain wall which was incorporated in the alterations to enclose the well. ​Duart Castle features in the 1971 film When Eight Bells Toll, starring Anthony Hopkins, the 1999 film Entrapment, starring Sean Connery and Catherine Zeta-Jones, and in the US TV series Buffy the Vampire Slayer. 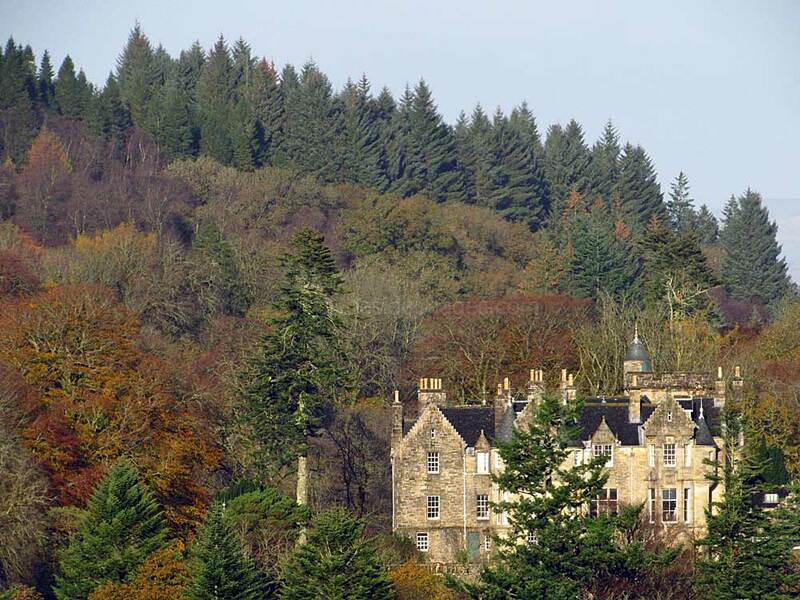 ​Almost hidden in the trees nowadays, Torosay Castle, is not a traditional castle as such but a Victorian mansion house designed in the Scottish Baronial style by architect David Bryce for John Campbell of Possil. It was completed in 1858. Torosay and its surrounding gardens used to be open to the public and were linked to the pier at Craignure by a narrow-gauge steam railway. ​I visited the castle many years ago and remember the fine interior and looking through some of the Guthrie family photo albums on display which told a fascinating account of their many trips and adventures to far flung destinations. ​Following the sale of the castle in 2012 to a Swiss buyer, the castle and grounds are now private with no public access.